You are here: Home / Bulletin / Bulletin / Site Notices / Snakes are becoming active again. Snakes are becoming active again. They will be looking far & wide for food & are on the search for mates & territory. The breeding instinct is in full swing & they will be less tolerant of others (humans) sharing their environment. It is extremely important at the moment to stay out of garden areas. Everyone, please stick to paths & open walking areas. • TREAT ALL SNAKES AS DANGEROUS – IDENTIFICATION DIFFICULT – NON-POISONOUS, BITE STILL INFECTIOUS. • KEEP OUT OF GARDENS & WILD SPACES AS THESE ARE HABITAT FOR SNAKES. • MAINTAIN DISTANCE FROM SNAKE – DO NOT APPROACH CLOSELY. • DO NOT HASSLE, INTERFERE WITH, THROW STONES OR STICKS ETC AT SNAKE. • IF YOU ARE VERY CLOSE TO SNAKE – DO NOT MOVE – SNAKES DO NOT HAVE EARS BUT WORK OFF VIBRATION, MOVEMENT & INFRARED OR HEAT SENSING. IF YOU DON’T MOVE SNAKE WILL NOT REGISTER DANGER, AND WILL EVENTUALLY MOVE AWAY. • IF REASONABLE DISTANCE FROM SNAKE SLOWLY MOVE AWAY MAINTAINING SIGHT OF SNAKE. • IF POSSIBLE ONE PERSON TO MAINTAIN SIGHT OF SNAKE WHILE ONE PERSON INFORMS TEACHER OR FRONT OFFICE TO CALL SITE MANAGER OR SNAKEMAN. 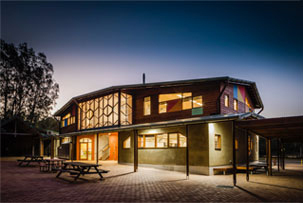 http://capebyronsteiner.nsw.edu.au/wp-content/uploads/2015/12/CBRSSwebheaderlogo.png 0 0 Yvette http://capebyronsteiner.nsw.edu.au/wp-content/uploads/2015/12/CBRSSwebheaderlogo.png Yvette2018-09-21 12:45:432018-09-21 13:56:52Snakes are becoming active again. The magic of Spring at CBRSS Innovation Centre – Join a tour at our Spring Fair!